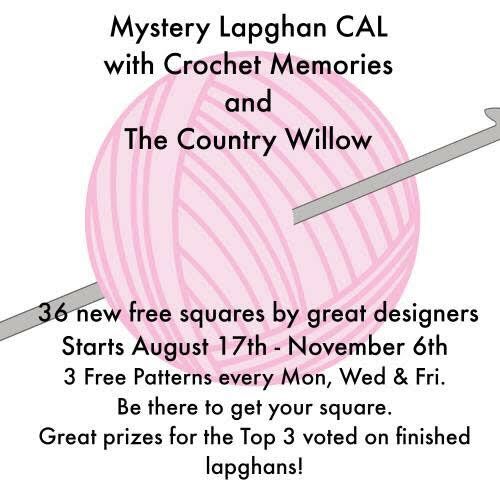 As you know, I have teamed up with 29 other crochet designers to share 36 free crochet square patterns for a one-of-a-kind Mystery Lapghan CAL with Crochet Memories and The Country Willow! 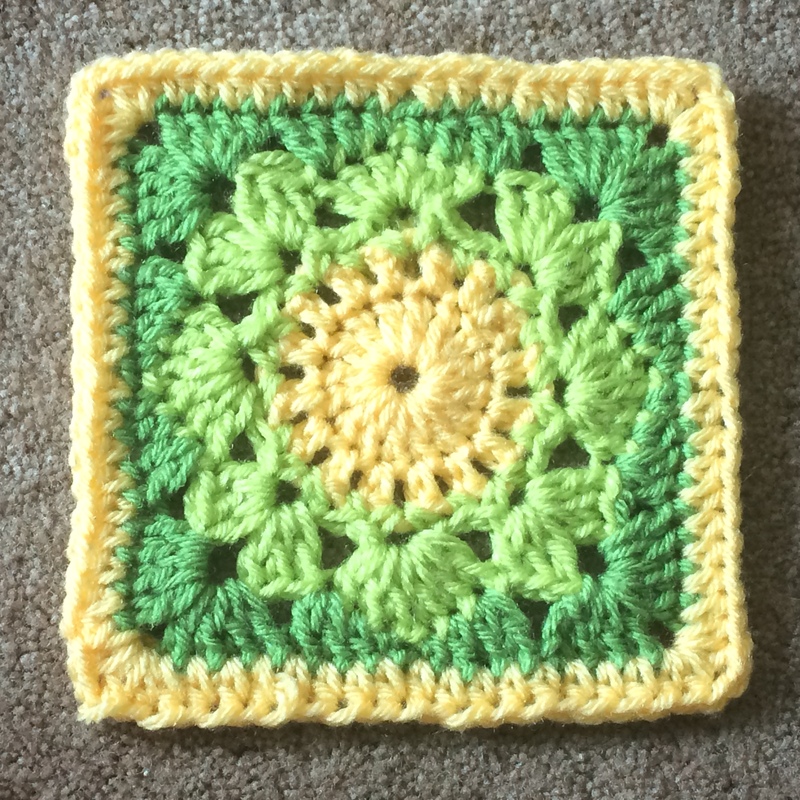 Each pattern is 6-inches square using a worsted or aran weight yarn – yarn symbol 4 and a size US-I/9 (5.5 mm) hook. Pattern release began August 17 and will run every Monday, Wednesday, and Friday through November 6, 2015. More information and support can be found on the Facebook online group at “Mystery Group CAL” or https://www.facebook.com/groups/488215101349495/ and on the Crochet Memories Blog. * You can join in by crocheting each of the patterns as you have time. * Share your progress and post pictures of your finished projects! * By the end of the crochet-a-long, you’ll have a 36-square lapghan to gift or keep! * And we have some goodies for you, too. 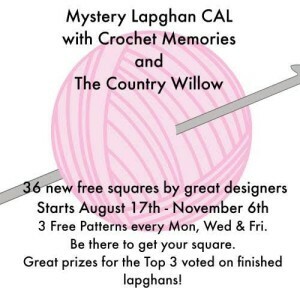 Crochet Memories and The Country Willow are planning some great prizes to be awarded. Stay tuned to learn what those prizes will be and how you can qualify to have your name entered into the drawing! 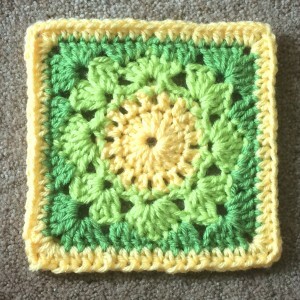 My square is called Lovely Lace and I hope you enjoy making it. The next square is by Leah Feilds of Creative Threads by Leah and will be released Wednesday, 9/16/2015. Join with sc – Loop yarn on hook and insert into designated stitch. Yo and draw through, you have 2 loops on hook. Yo and draw through both loops. You have joined the yarn with a sc. Pull block from side to side, and diagonal to diagonal, smooth flat, and the piece will noticeably square-up. I love these blocks! So easy to take along too. Thank you!